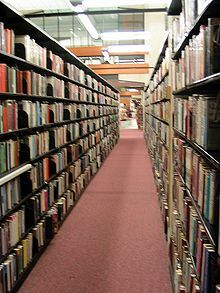 (countable) A library is a place where books and other media are kept, usually on shelves. Most of the time, people are allowed to borrow these things. I borrowed books at the public library today. (countable) A library is a collection of books of other media. A person may call his/her collection of books a library. The university's online classical music library is very large. This page was last edited on 29 October 2018, at 03:01.